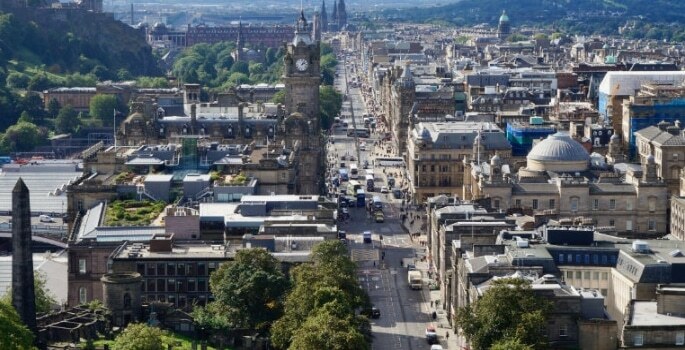 Edinburgh Business School (EBS) and the 30% Club are inviting applications for a scholarship to study a full-time MBA at the Heriot-Watt University in Edinburgh, Dubai and Malaysia. The programme, which ties with the theme of the 2018 International Women’s Day #PressforProgress, is designed to empower businesswomen, help nurture female talent and support efforts to progress gender equality. On offer to entrepreneurial women, for the second year running, is a full tuition scholarship worth around £22,000. The scholarship covers all study materials and teaching sessions. The successful applicant will also be invited to take part in an exchange visit at Heriot-Watt University in Dubai. “The International Women’s Day is a great opportunity to celebrate the social, economic, cultural and political achievements of women but also to remind ourselves how much more still needs done to move closer to gender parity,” EBS Executive Dean, Professor Heather McGregor. “Across the world women are underrepresented in decision-making positions, particularly in politics and business, and this is why we want to encourage women to apply and study with Edinburgh Business School. “The 30% Club Scholarship will enable the successful candidate to study on campus in Edinburgh and we will also cover the costs of the flights and accommodation in Dubai, where a schedule of company visits allows our students to experience a range of business perspectives and grow their international professional network.